Custom framing is an important investment that can either enhance the piece to be framed or contribute to its decay over time. Professional custom framers preserve your important items through the many different layers of a frame. A professional framer must educate themselves in the various pieces of a custom frame in order to walk you through the various options to enhance and preserve the item you want framed, including the backing paper, back of the frame, mounting board, hinged artwork, mat, glazing/glass, and the frame itself. When taking an important piece to a custom framer, you are paying for the physical labor, artistic skill, experience, and expertise of the framer needed to create a piece that will last a lifetime. Understanding the PH value of the mat board and backing is especially important when framing photography, watercolors, prints, and drawings. Different PH values will impact the item you are framing, depending on its unique constitution. Every medium requires special care and unique mounting techniques. The backing paper protects your item from the wall and the glass from any properties in the air that might damage it. Glass, Plexiglas, conservation glass, reflection free glass, and UV Plexiglas represent some of your glazing options and will impact the clarity of your item in varying conditions. Sun exposure can be one of the most damaging properties for photos and pictures. The mat and frame accentuate your item and ensure that it is the focal point of your wall. Hinging your artwork ensures that it stays perfectly positioned within the frame over time. 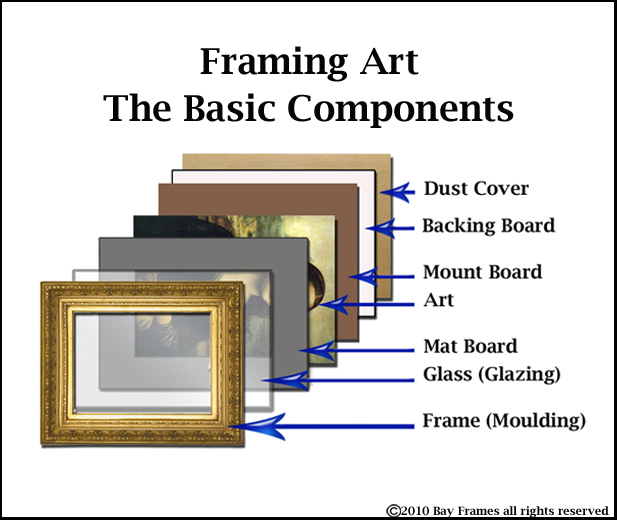 North Penn Art’s Framing Specialists will be able to suggest the best glass, mat, and other components of a frame for your project and will always follow the Professional Picture Framers Association framing guidelines. With our professional expertise, you are commissioning a work of art that will last beyond your lifetime.